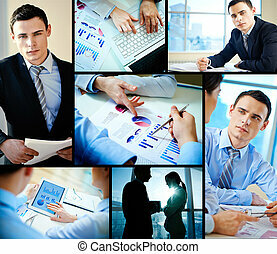 Business people concept. 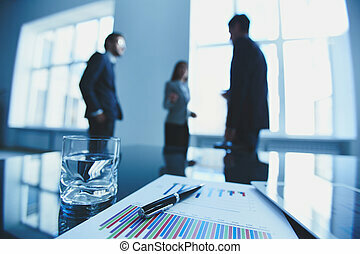 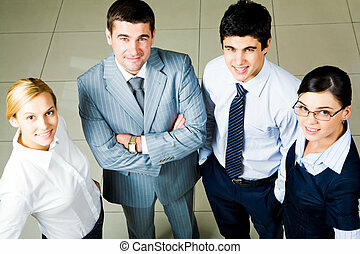 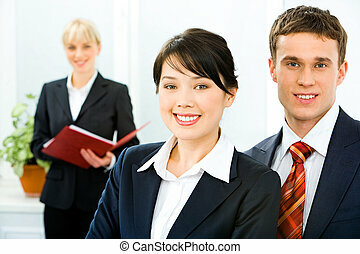 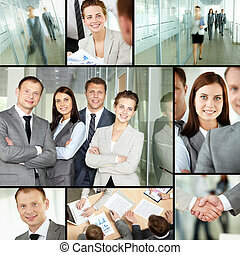 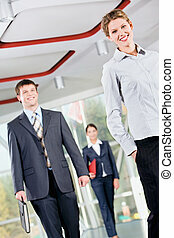 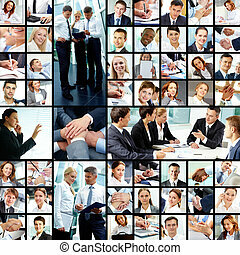 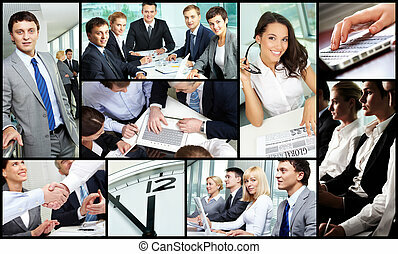 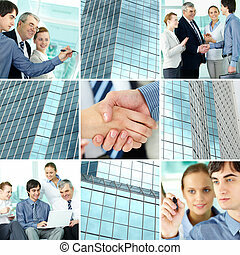 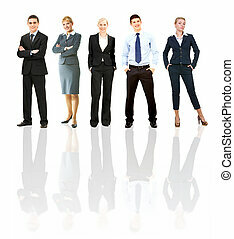 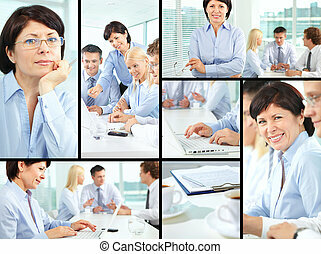 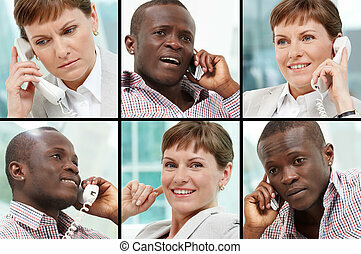 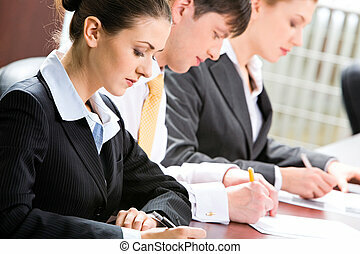 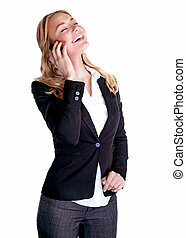 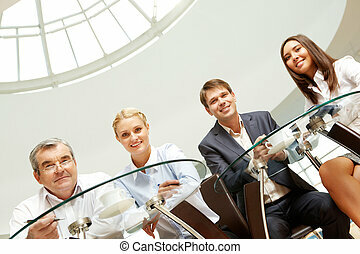 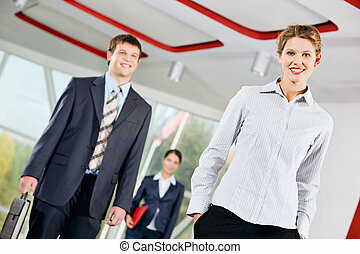 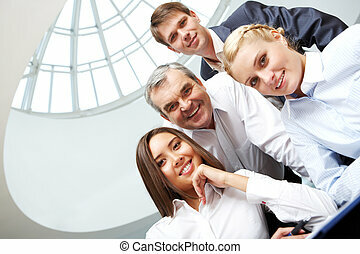 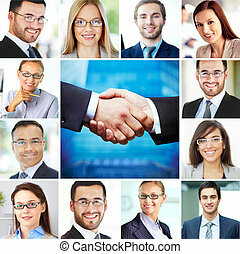 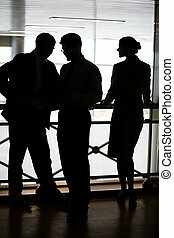 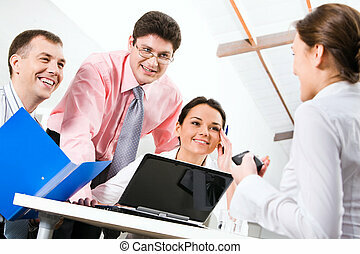 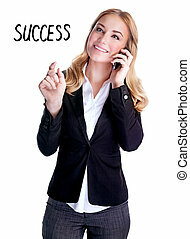 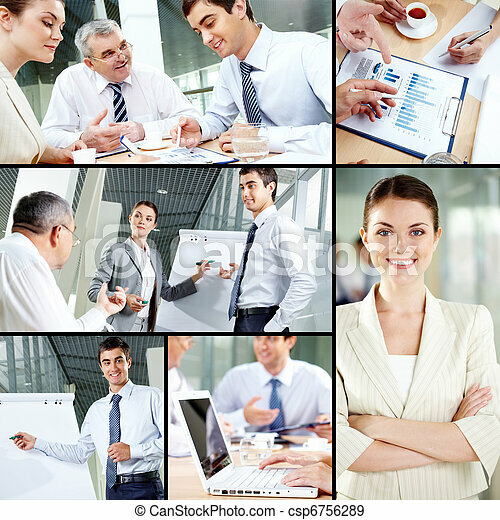 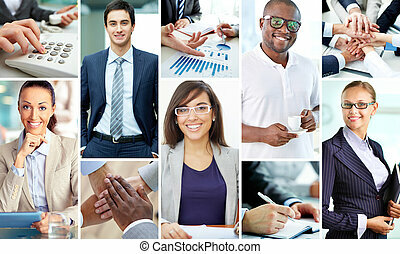 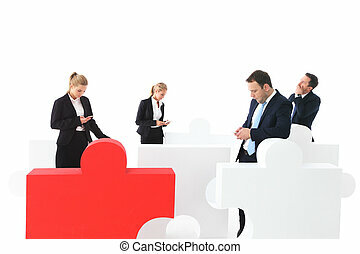 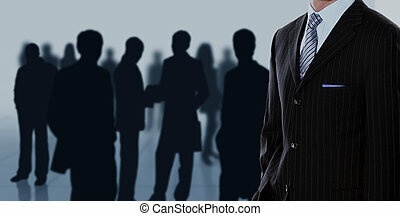 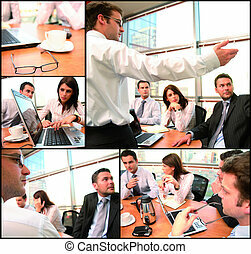 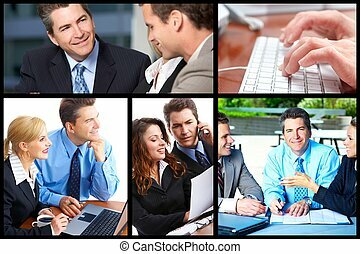 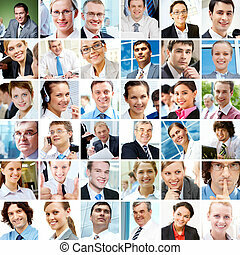 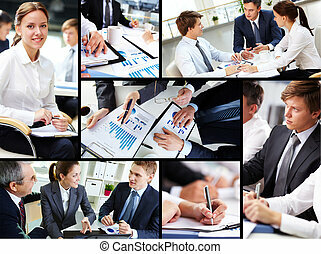 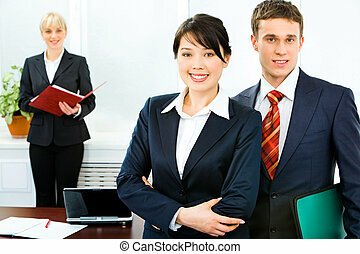 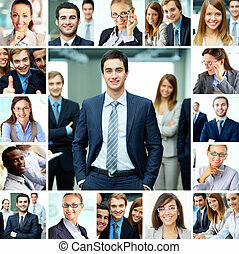 Collage of images with business people at work. 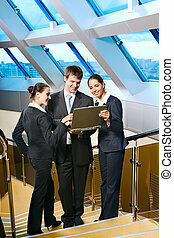 Business people team working in the office. 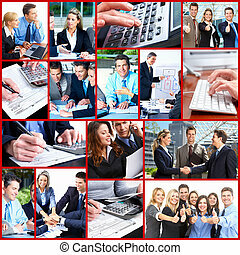 Collage background. 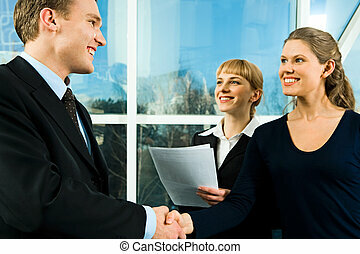 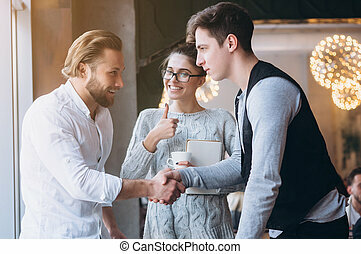 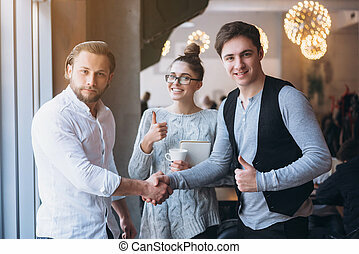 Business woman and man doing a handshake close up. 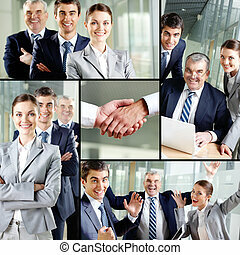 Business people concept. 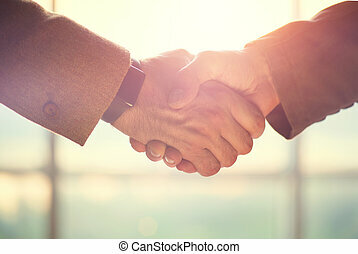 Business handshake cloce up. 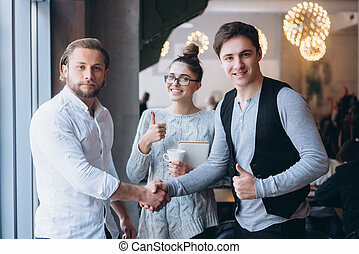 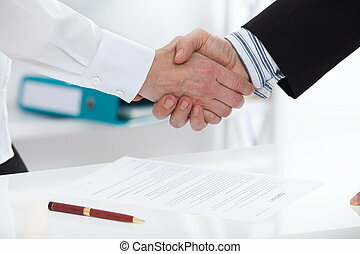 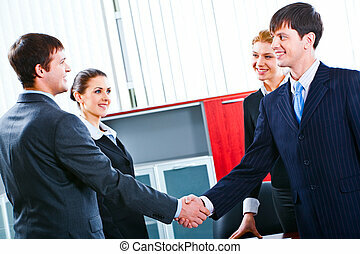 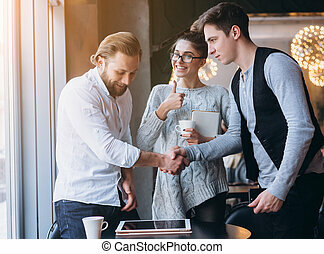 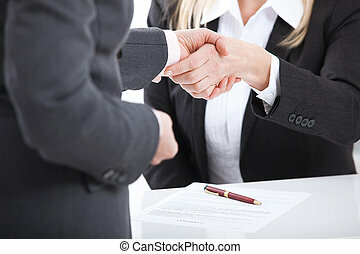 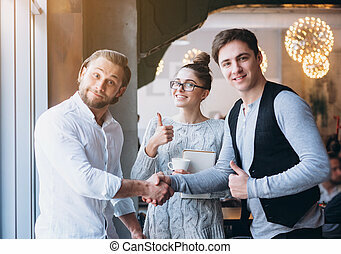 business handshake and business people concept.